Daryl Devore has a new book out! 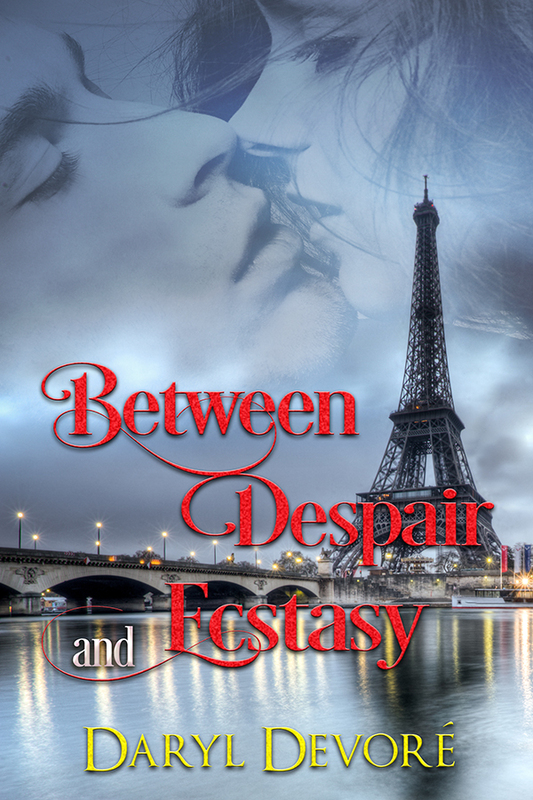 Between Despair and Ecstasy is Book 3 in her Two Hearts One Love trilogy. He grinned. Eighty thousand Parisians and one fiancée. He glanced to his left. Seated on the top stage step was Erika. She’d arrived just minutes before the show started. Just enough time for a passionate—but quick—hello kiss. He needed more. He needed her, and he knew it. She smiled at him. He loved that smile. He could stare at it all day. The way her soft lips curved up, a hint of sassiness in her expression. Fireworks exploded. Lasers shot around the stadium. Cass, the drummer, crashed the symbols as Darien spun, posed, then inhaled a deep breath and opened his mouth to sing. My grade 10 Creative Writing teacher. We had to write a chapter 1 and he told me to keep going instead of doing the other writing projects. By the end of the semester I had finished it. The one I am writing on doesn't have a name yet. But the next is a Christmas short story and will be released in Dec and is called – Love in the Key of C.
DISHES! I'm an only child so they was never a time I could pawn the job off on a sibling.